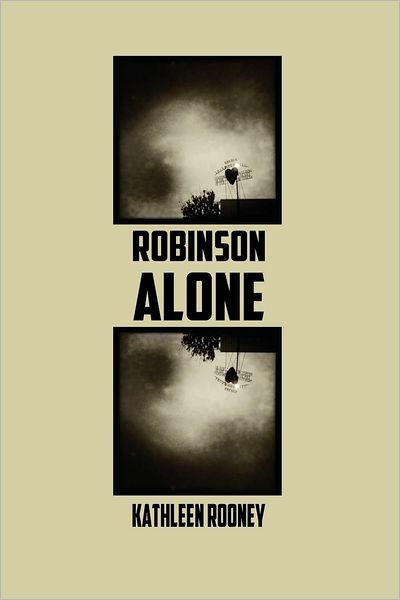 Robinson Alone is a complex and devastating work. Kathleen Rooney, Publisher of Rose Metal Press, a publishing house rightfully hailed as a definitive flash fiction mainstay, has worked many years to advocate flash within the fiction realm as an unyieldingly, meritorious form, a form which does not ask for permission. 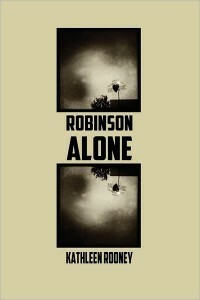 A testament to Rooney’s dedication to writing can be seen further in her new work: Robinson Alone is a book which transcends boundaries. There is poetry, there is flash, there is consistent narrative, this is a work told from the perspective of a man burning to live his life. Structurally, what we have here are third person narrative poems ebbing and flowing between acts. Robinson writes a letter, Robinson marries, Robinson separates, Robinson has his own Awakening. Robinson is the ocean. The savvy reader will notice Kate Chopin’s The Awakening, will notice hints of early feminism told through a male perspective, will notice Virginia Woolf’s final act, and maybe a bit of Woolf’s definitive stamp on modernism as in her Lighthouse, as in her switch in narrative point of view, Robinson Alone gives us a chance to be the confession booth, to be the fly on the wall, and we as reader are charged with sitting watching a man fight and unravel and fight and unravel and think, and we want to hold him to help him to stop him and we cannot, we are brutally subjected to an interjection in how we cannot help. Rooney stands up and shows up what writing can do: She asks us to sit in pain. “Something’s learned here, but not a lesson,” the author writes. Ruminating, atmospheric, ritualistic, meditative with repetition, the work walks between reality and narrative in ways which we cannot escape. This is a novel which beckons questions we all consider or think we consider or do not remember to consider and it shoves itself in our faces and says, “Well do you look? Take a look at yourself through my words.” Robinson Alone is a lamentation for the lost you. Robinson Alone tries to unweave the tangles we make for ourselves when we are lying. It is a pleading boy growing into a pleading man asking “When, when?” We stumble at the moment we realize we are the moment and we have the power within ourselves to change ourselves at any given moment and in Robinson Alone, we don’t. We ask, but we don’t change. Rooney is flexing her craftsmanship in her ability to write between and toward convoluted moments of truth but it is in her ability to balance gender, to balance humanity which is what sticks. Robinson is a pretty miserable guy, but he’s trying. Robinson is asking to be heard, and he never really is, even by himself, and that is the most devastating part of this work.